Public Health Studies shows you how health is related to all aspects of human life, and how societies serve the health care needs of their people. 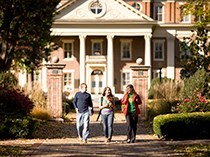 Roanoke's Public Health Studies is an interdisciplinary approach to the health care arena, offering you diverse perspectives on health through courses in both life and social sciences. Public Health Studies will help you find a niche in the health field that matches you own personal passions, and will give you an advantage over those who've pursued a purely technical approach to health education. 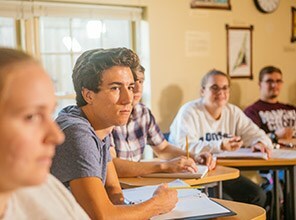 Through rigorous investigation and analysis, Public Health Studies provides you with a strong foundation for a range of careers in the health field, such as administration, advocacy, counseling, medical practice, public policy, research & analysis, social work and occupational & physical therapy. Roanoke has exceptionally strong relationships with local health care organizations. These partnerships offer you a myriad of opportunities for research and internships in some of the finest health organizations in the Middle Atlantic region. Practical experience through community projects, internships, and research, coupled with strong academic and alumni connections, will prepare you for a top graduate program. 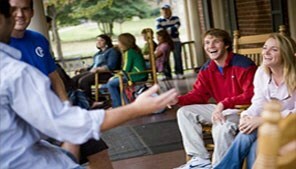 We offer both a major and minor in Public Health Studies. The Bureau of Labor Statistics expects demand for medical and health managers to grow by 17% in the next decade, more than twice the national employment growth average. 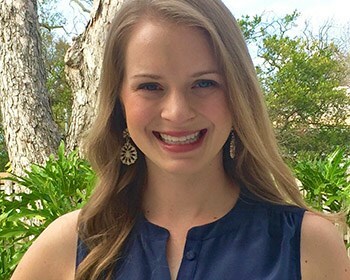 Rebecca Dallas Corbicz '11 is a clinical emergency social worker at Tampa General Hospital. Believing strongly that social work must address the public aspects of health, a significant part of her practice is devoted to community advocacy for her clients. Corbicz feels her studies at Roanoke helped her define her passion for healthcare. "One of my most memorable courses was 'Ethics in Medicine'," says Corbicz, "It really helped shape my thinking about the nature of public health." Corbicz plays an important role on her hospital's ethics board. After Roanoke, Corbicz received master's degrees in social work and public health at the University of Georgia. Julia Holahan '16 is pursuing a doctorate in occupational therapy at Virginia Commonwealth University. A Spanish major at Roanoke, Holahan wishes the Public Health Studies major were available when she was an undergraduate. "I think the program that Roanoke is launching would have given me an even better understanding of the needs of diverse communities," She says, "and how different public and private agencies can help them." Holahan wants to pursue a career as an occupational therapist, and be certified as a medical translator. "Language barriers are a big struggle in the health field today," she says, "As a Spanish speaker I can be an advocate for my clients, helping them get the services they need from other agencies." Roanoke graduates do great work in health care. Healthy foods could become more accessible to lower-income local communities thanks to research by Dr. Liz Ackley and her students. Their food-mapping research is being showcased as a national model. 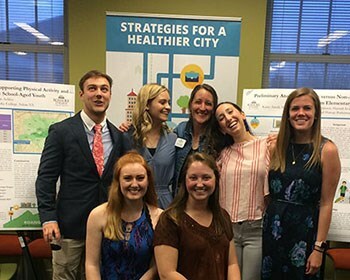 Professor Chad Morris has created a unique opportunity for Roanoke students to see, in microcosm, the health issues that beset communities around the globe. Through his work with the Ministries of Health and Education in the Pacific island of Palau, he and his students have conducted anthropological research that has helped Palauan citizens and their government address issues of nutrition and food security. By starting at the community level, we've been able to engage the Palauan people in these issues, and find solutions they'll embrace." Says Morris, "It's a great opportunity for Roanoke students to conduct research, analyze data, and see how the public health interventions they've helped develop are making a real difference."